The McCree Way of Enhanced Design-Build virtually eliminates the invariable conflicts of interest between the vital professionals involved in your construction project and you. Since the 1940s, McCree has gathered the relevant design and build consulting professions under one ownership, under one roof to form a truly integrated team functioning with fluidity from concept to completion. 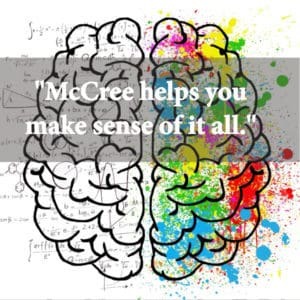 McCree’s upgraded version of Design-Build ultimately aligns the owner’s and team’s respective interests, which makes for savings in every facet of your project. Here’s the problem: adversarial relationships naturally occur when you place engineering, architecture and construction services with unrelated firms. The uninitiated owner erroneously equates the lowest price with the best value and shops each component. This unknowingly shifts the final burden of risks to the owner so when something goes wrong, the owner is placed in the position of resolving conflicts by making decisions for which he or she is unprepared to make. Under this arrangement, the various essential disciplines of a construction project are temporary “teammates” who remain individually self-interested. For example, the owner may rely on the architect to keep to the budget while overseeing quality standards and team management. Invariably contradictions between the blueprints and actual field conditions arise. The owner, being comparatively inexperienced relative to the many consulting professionals, is unwittingly thrust into the middle to settle matters within “the project team.” As new problems arise, change orders and unplanned hourly fees and hard construction changes blow the budget and the schedule. As the owner, your choice is to either pony up more money to get what you want or cut items from the project to live within your budget. Either is an untenable position for you. Why face such unnecessary owner exposure? Replace the divided house approach in favor of The McCree Way of everyone being under the same roof or an enhanced design-build method. You end up with a landmark building and even better relationships with all involved. Why should you have to interview and assemble “a team” that may or may not work when you can get an entire team with one signature? With McCree should an unexpected problem arise, McCree handles it for you, period. Better yet, we’ve assumed the majority of the risk. In minutes, all of the involved professionals gather to solve the matter. Unless you checked ProCore, our online project tracking tool, you might never even know a problem existed. Every McCree team knows their teammates rely on them to do their job with excellence. This culture of collaboration plus a common desire to serve in the best interests of the customer avoids the blame game and the running up of costs. 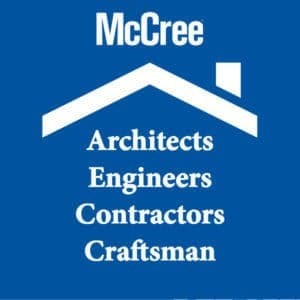 Collaboration aligns the owner’s and McCree’s interests. Thanks to the McCree enhanced design-build method, the adversarial relationships do not exist. When the people responsible for the entire project are one team that’s charged with cost control, quality and timely delivery, it makes your life as the owner far less stressful and unpredictable. We’re often asked what takes place in the Design-Build process. Here’s an overview.